In the previous article I made a passing reference to the role of marketing in the proliferation of dubious terminology and outright misrepresentation surrounding film. As the cover of Dracula: The Dark Prince demonstrates, however, the practice of misleading the audience extends far deeper than a mere catchphrase. Fortunately, this is one of those occasions where this translates into a positive outcome. Nothing even remotely resembling the red-eyed, many-fanged monstrosity on the cover is featured in the film itself, nor is there any guarantee that the version you encounter will bear the same awkward title. Indeed, my initial encounter with this little-known production occurred under the guise of Vlad the Impaler, which is by far the most accurate reflection of its actual qualities. In addition to these two pseudonyms, it can also apparently be found under the variants Dark Prince: The Legend of Dracula and Dark Prince: The True Story of Dracula, the last of which is perhaps the most galling. The reason I burden you with this extraneous information is that, despite the near-total deficiency of good sense displayed on the cover, what lies beneath is a surprisingly competent and engaging film, and it seems a shame that it might be consigned to untimely death solely on the basis of its ghastly exterior. For those who can recall the prologue from Bram Stoker's Dracula, the major plot points in Dracula: The Dark Prince hold little in the way of surprise. Where the two treatments do greatly diverge is in regard to the focus and interpretation of events concerning the historical Prince Vlad III of Wallachia, known as Dracula during his reign, and given the posthumous appellation of Vlad the Impaler. Beginning in media res, the first scene appears to deliver precisely the sort of Byronic figure that has become synonymous with the name Dracula in the aftermath of the famous Gothic novel by Bram Stoker. With an almost ghoulishly pale complexion, raven-black hair streaming back from a widow's peak, and an ensemble consisting largely of black leather, this is a figure as close to the collective popular idea of Dracula as it is possible to conceive. As we follow his progress through a brief mission of vengeance – culminating in an order to impale a vassal prince that has been installed during his absence from the country – each moment only seems to verify the preconceptions any modern viewer will inevitably bring to this film. 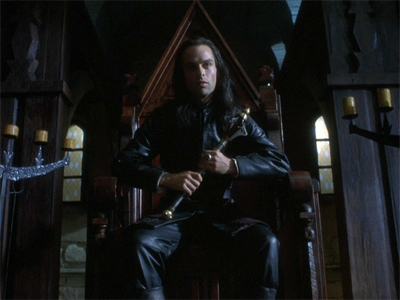 At this point, however, the film immediately halts its forward progress and launches into an extended retrospective, conducted under the guise of an inquisition meant to determine whether the Orthodox church will ratify an earlier endorsement of the repatriated Prince Vlad, or else excommunicate him, thereby denying any hope of regaining the throne. While it may seem contrived, at first, this plot device actually proves to be the single most inspired decision in the film, allowing it to pursue some genuinely insightful avenues on the path to deconstructing our notions surrounding Dracula. Having presented a vision of protagonist so in tune to our prejudiced imaginations, the subsequent interrogation serves a double function, not only affording the character a chance to justify his actions to the audience, but also effectively putting our preconceptions on trial. The question of where the legend of Dracula ends and the historical figure begins is presented as being a matter as pertinent in his own time as it is today, and the role played by the council of priests allows Dracula himself to answer our uncertainties. Is it true that he once invited a group of fellow noblemen to a lavish feast, only to denounce and execute them for conspiring in his father's death? Did he actually pursue a policy of strict corporal punishment, condemning thieves and other petty criminals to impalement and other horrific deaths? What rapidly becomes clear, however, is the extent to which wild speculation feeds into the very basis of Dracula's consummate use of dissemination and intimidation to achieve goals beyond what his meagre strength in arms could ever hope to gain. With the superior resources of the papist Hungarian king on one side, and a vast army of Ottoman Turks on the other, the Prince of Wallachia is forced to negotiate a perilous situation whereby his own country is essentially the battleground between these rival superpowers. 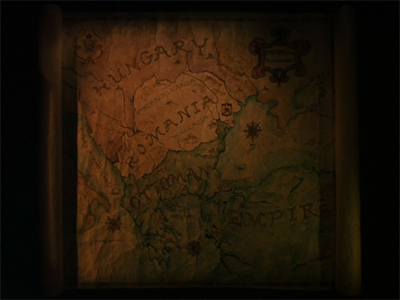 As we examine his tumultuous history – from his distant memories of father Vlad II, through his years as a captive in the Sultan's camp, and then his ongoing efforts to liberate his homeland from foreign influence – Dracula offers an elusive commentary, explaining his motivations where doing so will aid his cause, allowing them to remain murky and unresolved where the perpetuation of his legendary status does the same. The result is a surprisingly insightful meditation upon the nature of legends themselves, the circumstances in which they are likely to propagate and grow, and the potential this represents for those who can actively shape their evolution. This is driven home particularly by a number of clever elements that anticipate Dracula's immortal fame as a vampire. These include a suggestion that he dipped his bread in the blood of his victims; an incident that sees a rumour of his death spread throughout the country, resulting in the idea that he had risen anew when the truth was confirmed; a reference to his father having suffered a hereditary sensitivity to light that steadily worsened with age; and, last of all, his excommunication from the Orthodox church. It would have been a mistake to focus too intently upon any one these subtle hints, and thereby write off the Dracula myth as a simple matter of cause and effect, and the film casually puts them out there as little offering to the observant, along with the quiet assertion that these are the details, the minute grains from which all legends sprout. This finally culminates in a short epilogue scene, wherein a spectral Dracula taunts his betrayer with the suggestion that the circumstances of his death have granted him eternal life, a martyred fiend who shall forever inhabit the twin halls of history and infamy. Underlying all these elements is the issue of objective truth. Is it realistic, or indeed even possible, to expect a true portrait of Dracula when so much of the rumour and intrigue surrounding this figure is due to his own program of spreading misinformation? For this reason, any notion that the value of the production should be construed as a direct function of its biographical and historical accuracy should be resisted. It is a simple truth, though generally unacknowledged, that our appraisal of any given film is largely a product of our expectations. As such, those who approach Dracula: The Dark Prince anticipating an epic historical drama in the modern style will be disappointed. There is no doubt that the life of Prince Vlad III of Wallachia would provide a compelling basis for such a treatment, but this production does not attempt to overreach itself in such a way. 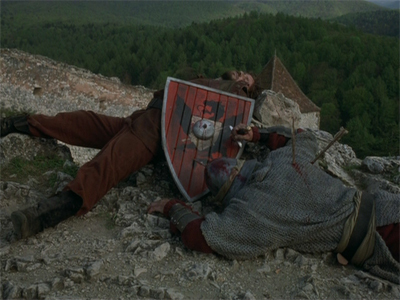 With only two visual effects shots, all the battles are conveyed off-screen save for a few small skirmishes, aligning film much more with the tradition of historical stage drama, particularly that of the renaissance period with the likes of Marlowe and Shakespeare. Indeed, the influence of renaissance drama as a whole is palpable throughout the film, with the storyline reflecting elements of Hamlet and Tamburlaine the Great in relation to Dracula, while his wife Lidia takes cues from her equivalents in Othello and Macbeth. Precedent has overwhelmingly demonstrated the extent to which good stage drama lends itself to successful translation onto film, but the reverse is only rarely true. Dracula: The Dark Prince is one of those rare exceptions, and those who approach it expecting a lavish stage production are more likely to appreciate its various merits. Perhaps the most faithful adaptation of the novel Dracula, despite some significant deviations of its own. Its relevance here derives from the historical details inserted as a back-story to the Gothic fictional tale, the main points of which essentially summarise the events of Dracula: The Dark Prince. The second in a three-part series, this documentary delves into contemporary reports of the enigmatic ruler of Wallachia. Through a combination of dramatic recreation and commentary from experts and historians, the reign of Prince Vlad III and his tendency toward extreme forms of punishment are recreated with lavish flair. The story of three monks who displeased the volatile prince is used as a window to his motivations and the world that shaped the man. A treatise on the nature of politics and governance intended to address the tumultuous period of internecine conflict between various Italian and surrounding principalities during the sixteenth century. At a time when the right to rule and exert political influence was heavily entwined with the concept of divine justice and pre-ordination, Machiavelli was almost unanimously denounced for his suggestion that the manipulation of power should be examined and defined solely in relation to its social reality, disregarding any theological preconceptions of right or wrong behaviour. An amazingly astute and insightful examination of the dynamics of power and social manipulation. A contemporary of William Shakespeare, Marlowe produced some of the most widely acclaimed tragedies to grace the renaissance theatre. At times less disciplined and more impulsive than the works of his famous peer, these plays nevertheless manage to produce scenes which are as powerful they are unexpected. With their focus on the dispensation of power and its consequences, the plays Tamburlaine the Great, Parts I & II, and Edward the Second have the most immediate relevance. A series of point-and-click adventure games that follow on from the famous novel, with the intention of forming a complete trilogy. 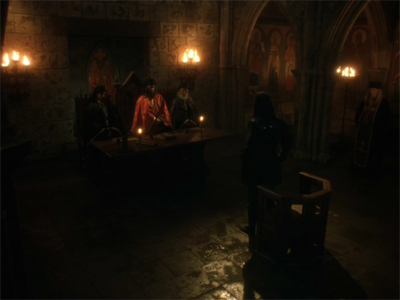 While much of the cast and storyline are taken from this fictional premise, there is also a considerable degree of visual influence from the film Bram Stoker's Dracula, in addition to a significant amount of historical information regarding the real Vlad III of Wallachia, his brother Radu, and the political intrigue surrounding their interaction with the Turkish Sultan. As such, the series tends more toward a genuine merging of the two Dracula personae: fictional ghoul and historical warlord.